You’re likely already aware that most typical lawn mowers come in two forms – self propelled and manual/push lawn mowers. The difference is pretty self explanatory; push mowers are physically pushed by the user in order to move forward and backwards whilst self propelled mowers are well, self propelled. For most people, the decision is pretty obvious but unfortunately, it’s not always that easy. With a push mower, you’ll typically have fewer issues to deal with and if you do face issues, they often won’t be as expensive to resolve as they would be with an electric or self propelled mower. If you’ve ever had any experience with cordless mowers, zero turn mowers, or robotic mowers by Husqvarna, you know that they differ immensely. The big factor that will essentially help you make a final decision is the question you will have to ask yourself. What purpose will the device serve you with? If you need to mow your lawn while saving both time and money, then obviously you should consider a robot mower. If you need a a lawn mower that you can actually use yourself but you have multiple acres of flat lands to cover, then a zero turn mower is probably your best bet. Those who have relatively modest sized lawns but need to take a lot of turns and cuts will benefit most by getting a cordless lawn mower. Really, the list can go on and on when describing which products are best suited for which audience. Read our mower reviews to gain more insight into the details of each mower. There will be a few people who will be at a crossroads. Some individuals will need both an easy-to-use mower but also one that cordless so that you can reach hidden areas of your yard. These people will either have to choose between cordless and self propelled, or perhaps get a lawn mower that is both cordless and self propelled. Thankfully, such options are readily available for purchase. When you’re stuck and can’t make a decision, you have to do a bit of extra research. We can’t say for sure, but we’re willing to bet that the majority of our readers would prefer to opt for a cordless and/or self propelled lawn mower as opposed to a traditional one. These mowers get more and more popular each year and this just goes to show what the current trend is in this industry. Lawn mowers used to be simple, but now things are changing. Mowing is becoming easier, faster, and more efficient! At first, it may seem like purchasing a cordless mower is a no-brainer. However, even though there are some huge benefits to using lawn mowers that are without cords, there are some downfalls as well. Cordless lawn mowers should only be purchased by a select group of people. Oftentimes, people become so excited about the concept of mowing cordlessly that they are too quick to make a purchase, not realizing it won’t work for their situation. Will it work for you? There is no cookie-cutter response, but if your lawn/grassy area is small, you could make a cordless mower work. Cordless Mowing – This one is pretty obvious. The biggest benefit of these products is that they allow you to mow freely and effortlessly and that is why people purchase them. You’ll be able to reach areas you would not have been able to reach previously. Cordless lawn mowers are also safer as there is no cord to pose a safety hazard to anyone in the vicinity of the product. Cheaper To Use – Because you don’t have to spend any money on fuel, cordless electric lawn mowers are cheaper to use. This is a pretty big benefit for many people, even though you won’t spend much money on fuel for a mower. Convenience – Cordless lawn mowers are more convenient than traditional mowers. They are often foldable and easy to store making them a more convenient purchase. Battery Life – Obviously, the biggest con of using cordless lawn mowers is the battery life. Now, if you’re going to be mowing a very small lawn and not intending to use your mower for a long time, it won’t be a problem. However, if you intend to mow for more than 30-40 minutes, you’ll be pushing it with a cordless lawn mower. Bigger projects can be done more efficiently using zero turn mowers. Durability reviews– Not all cordless mowers have issues in regards to durability. Still, because this is an electrical product we’re talking about, you may face issues. Something like the Black Decker has been a bit infamous for having some issues, but most are relatively durable. Read our to find out which models are durable. When Are They Worth Buying? 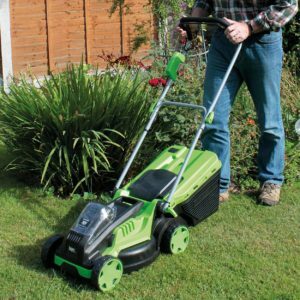 Cordless lawn mowers are worth buying when you can be confident that the battery life won’t be an issue for you. The vast majority of people who regret their purchase of cordless mowers are those who realize that these products cannot match their expectations. You cannot expect these mowers to last you multiple hours (or even an hour) on one charge. Because of that fact, many people are forced to reconsider and possibly purchase something like the Husqvarna Z246. Even though there are some people who face this issue, the majority of customers are satisfied. People with average-sized lawns can be confident they’re purchasing a great product when getting cordless mowers. In general, mowers which are cordless could and should replace old-school mowers over the next few years. They are better in almost every single way. When the time comes that you need to mow larger areas and commercial pieces of land, you can turn to a zero turn mower and be sure to get the job done efficiently and effectively. There are a few things you should know about zero turn mowers. While more and more people are purchasing them for personal use, they still remain best used commercially. 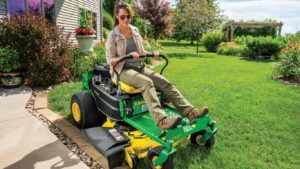 Unless you have a pretty big lawn and over $2,500 to spend, you may be better suited for a regular lawn mower, or perhaps a cordless lawn mower. It really depends entirely on what kind of projects you’ll be working on, and how much work you’ll be doing with the mower. By reading our reviews you’ll notice that while many mowers are quite powerful, they may often be too powerful for your needs. Not all zero turn riding lawn mowers are only for big projects though. Something like the Ariens Zoom 34 or Ariens Zoom 42 are perfect for small to mid-sized lawns. Such vehicles are small, efficient, quick, and portable. This makes them perfect for residential areas and smaller properties. In my experience, the smaller mowers are quite significantly cheaper than the larger mowers like the Poulan Pro. The cheaper price combined with the fact that they are effective in small areas make it a compelling argument. As we’ve mentioned, the Zoom series by Ariens is a fantastic choice. Those are by far two of the quickest and sharpest zero turn mowers we’ve ever had the privilege of reviewing. Along with those, we recommend checking out the Z246 by Husqvarna along with the IKON. Unfortunately for many of us, many manufacturers of zero turn mowers focus mainly on building large zero turn mowers. There is a higher demand for commercial mowers causing the imbalance. Can you use large mowers like the MZ61 on a smaller piece of land? In theory, it sounds like it wouldn’t be too difficult, right? Until you actually attempt to do it yourself, most will not realize the immense skill one would need to successfully mow their lawn using such a bulky vehicle. The difficulty is due to the fact that spaces are generally much smaller and the blades may not reach certain areas. Again, it may work but it’s not something we’d recommend doing. Many will tell you that zero turn mowers are not worth purchasing. On the other hand, others might even tell you that buying a riding lawn mower was one of the best decisions they’ve ever made. If you are considering purchasing one, you will have to determine whether or not it will bring a lot of value to your life. Obviously if you own a lot of acreage, then owning a product such as this would benefit you tremendously. If not, you may want to reconsider. The difficult decision comes to those who have a lawn in between a large and small-sized lawn. It may be too small for the typical zero turn riding mower but still too big for a regular lawn mower. These individuals should look for mowers that are smaller and faster, yet still plenty powerful to suit their needs and be effective.